The AK-47 has been one of the most widely-used weapons in the world since its inception in the 1940's. However, as the battlefield of the 21st century demands ever-greater degrees of accuracy, the Kalashnikov's 350m range is no longer effective. That's why Russia is giving the "world's most dangerous weapon" a deadly new makeover. "With demands for precision and engagement range on the rise, a new weapon must replace the Kalashnikov in the very near future," Ruslan Pukhov, the director of a Moscow-based defense consortium, told Reuters. To that end, Dmitry Rogozin, the deputy prime minister and head of the Defense Ministry, hopes to have the AK-47 retooled as part of Russia's 20 trillion-rouble modernization effort. The new iteration will reportedly feature a detachable scope and light when it's deployed sometime before 2020. "We are planning deep modernization of the Kalashnikov assault rifle," said Mr Rogozin, "This will be a weapon with detachable equipment, such as an optical sight and a lamp." 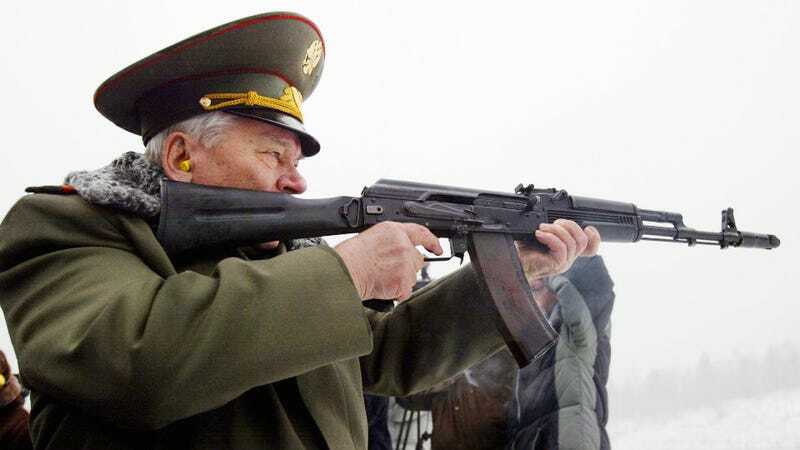 The Russian military has already scrapped purchases of the AK-74, a less-than-stellar update for the original design which debuted in the 70's—essentially the Vista of assault rifles.